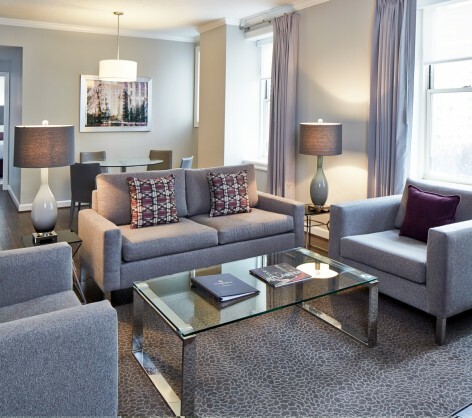 Equally suited for entertaining, extended stays, and family getaways, our stylishly decorated suites blend soft neutrals and warm woods. 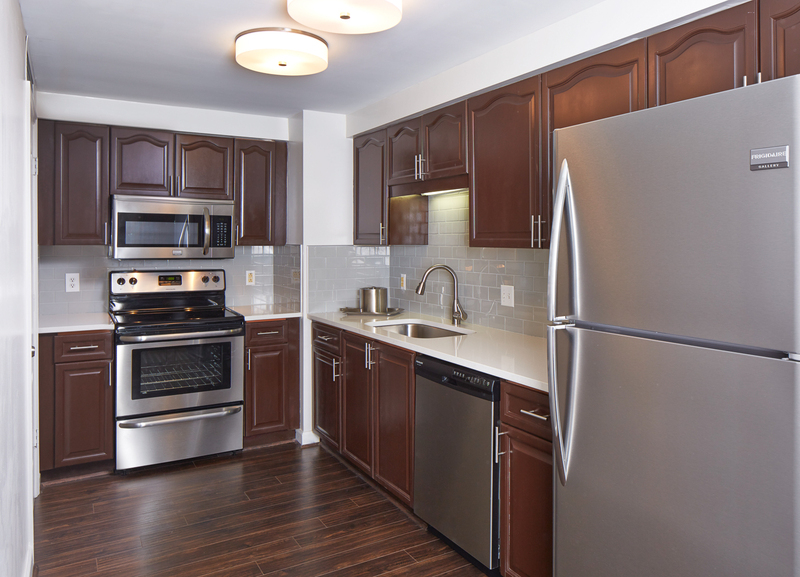 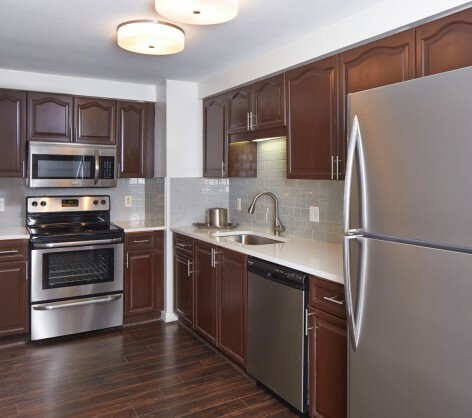 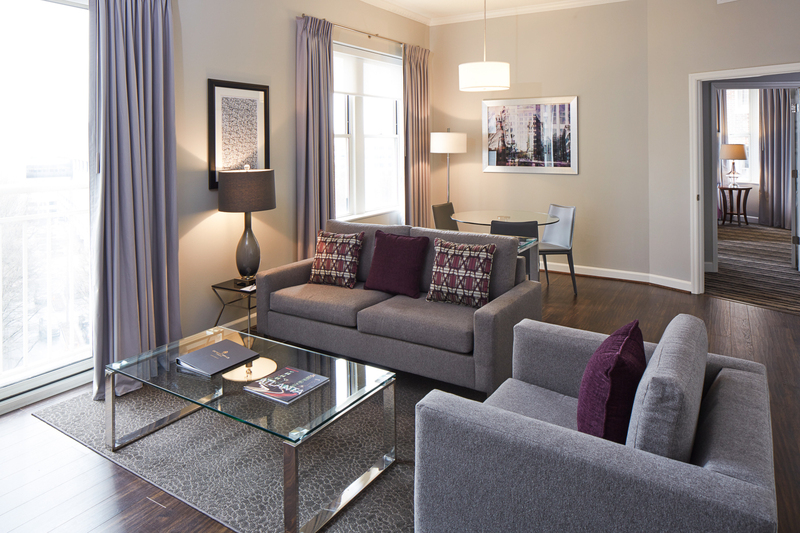 Available with one, two, or three bedrooms, they range in size from 650 to 1,740 square feet. 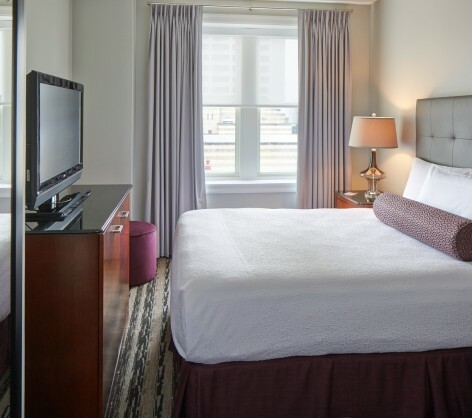 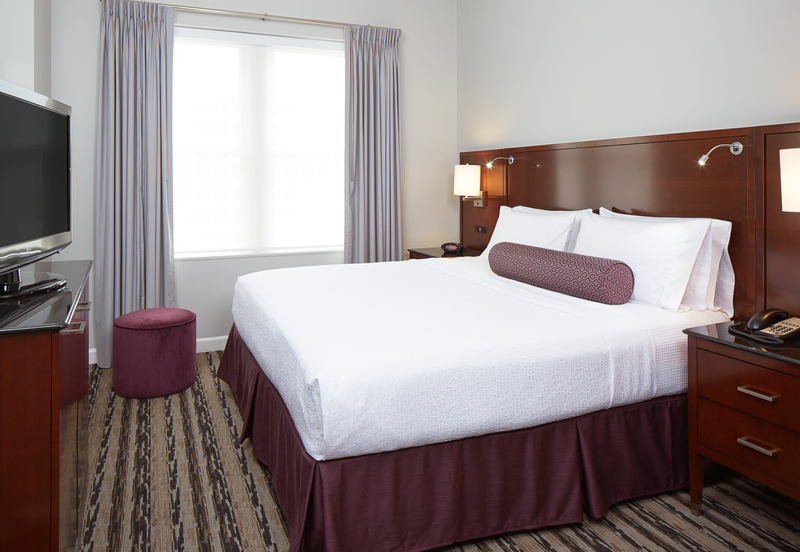 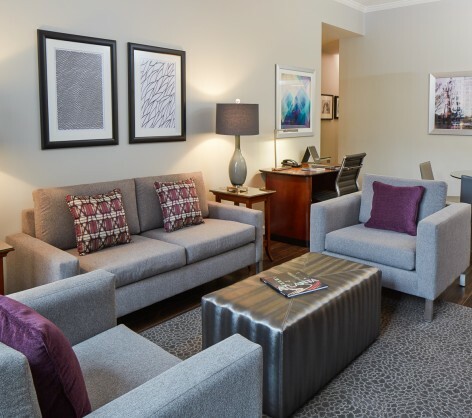 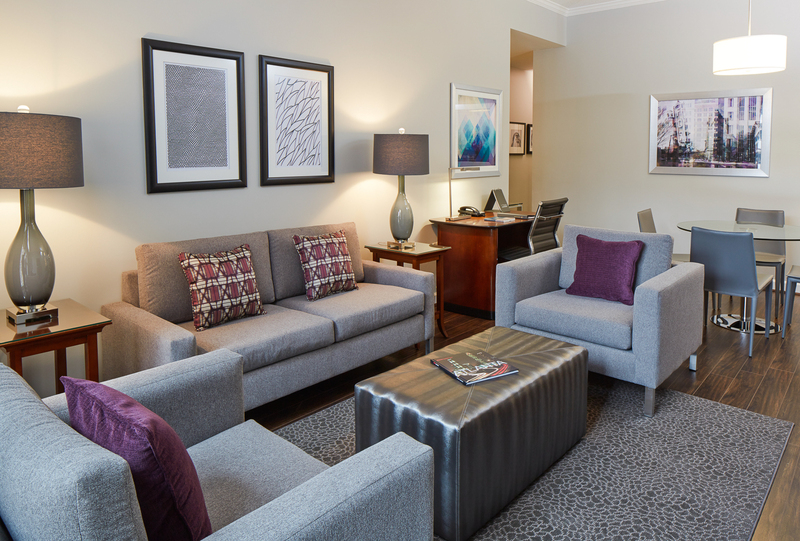 Ideal for couples, our large One Bedroom Suite features a separate living and dining area and master bedroom with a queen or king pillow-top bed, two HDTVs, hardwood floors, and large windows overlooking downtown Atlanta. 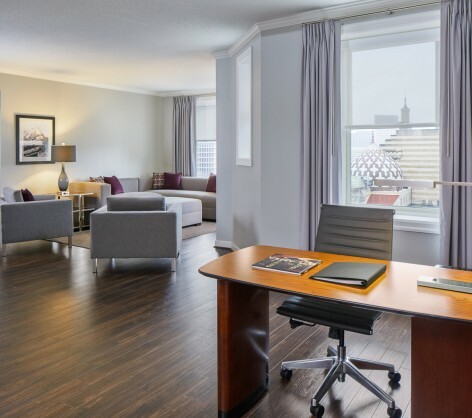 Our Premier One Bedroom Suite is furnished with one king or one queen pillow-top bed, a separate living/dining area with extra-large windows, two flat-screen HDTVs, a full kitchen, and full-size washer/dryer. 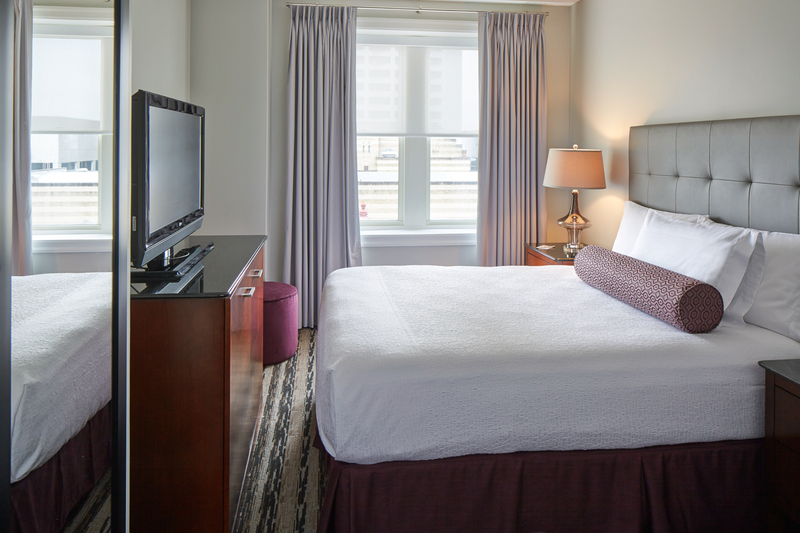 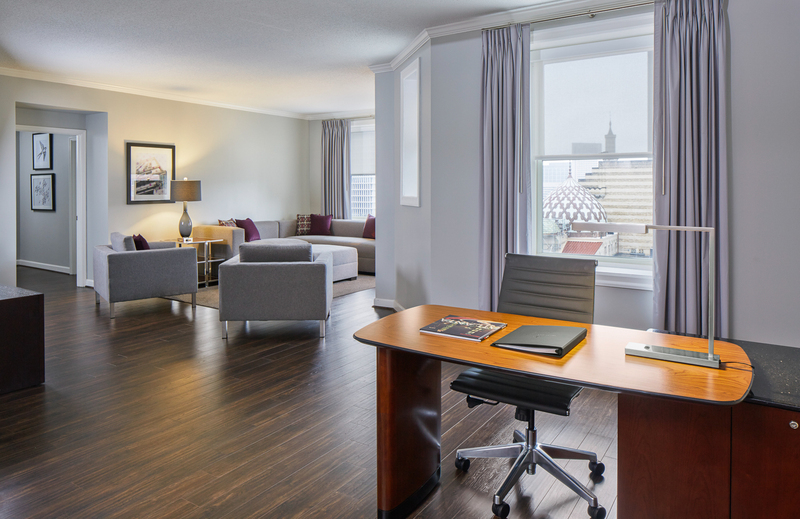 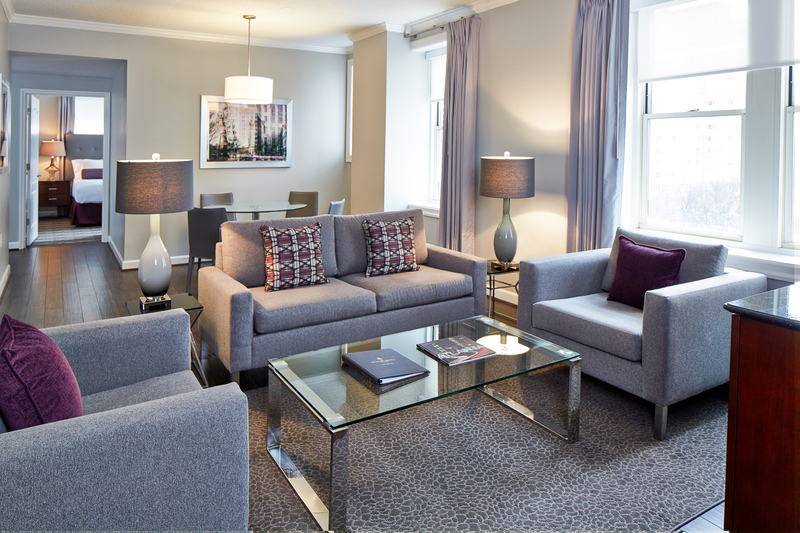 Perfect for a family getaway, our Two Bedroom Suite is a modern Midtown oasis with two private bedrooms with queen pillow-top beds, a living/dining area, three HDTVs, a full kitchen, and full-size washer/dryer. 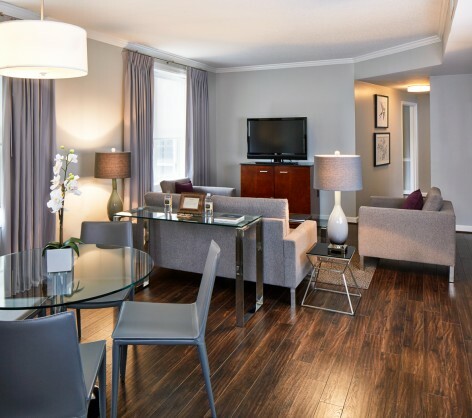 Two Bedroom Suites have either one or two large bathrooms. 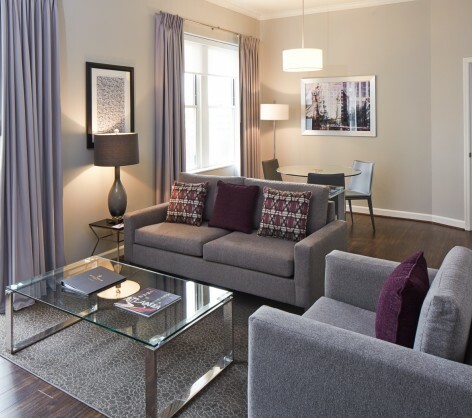 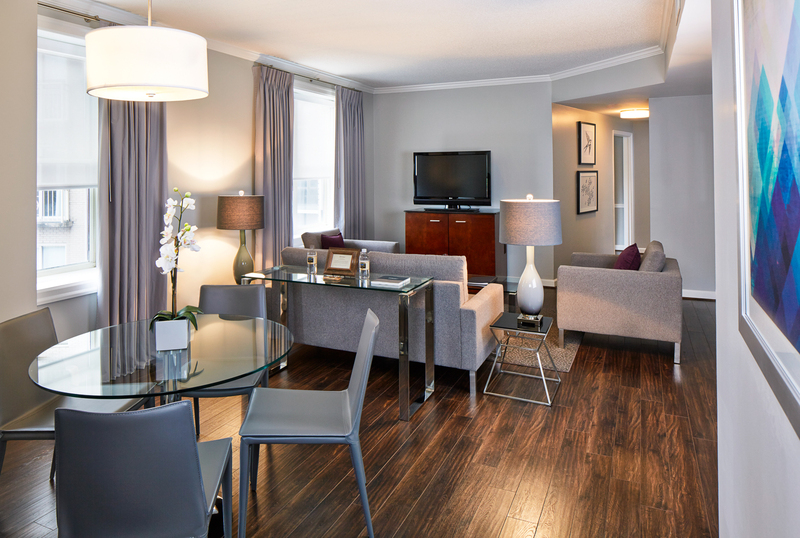 Ideal for entertaining, our spacious Three Bedroom Suite features hardwood floors, stylish furnishings, and extra-large windows. 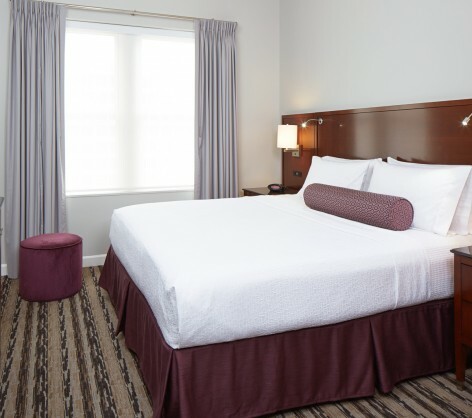 Highlights include bedrooms with queen pillow-top beds, two bathrooms, four HDTVs, a full kitchen, and a full-size washer/dryer.